Treating yourself has never been this healthy or easy! Using Fair Trade Dark Chocolate, That's it. 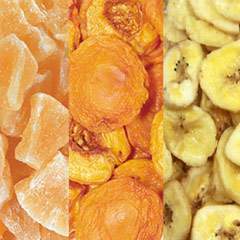 Bites uses real fruit for a guilt-free treat every day. 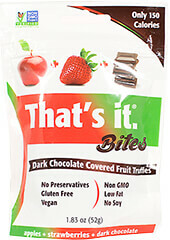 Made with only 5 ingredients: Apple + Strawberry + Dark Chocolate (unsweetened chocolate, organic sugar, cocoa butter). That's it. Plus, these chocolate bites are certified Paleo Friendly by the Paleo Foundation. 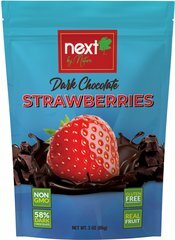 True strawberries, true dark chocolate, truly delicious. 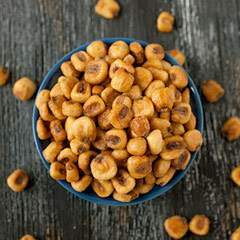 Tasty corn nuts, also known as toasted corn, is a snack food made of roasted corn kernels. 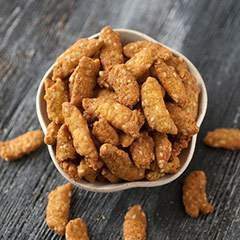 They have become a hot seller and are well-known as an everyday snack. 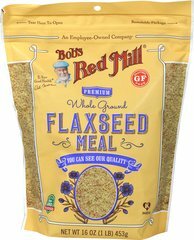 Snack on the go with these delicious toasted corn kernels!